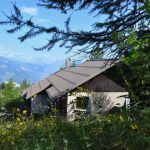 In an independent chalet, with another apartment on the 1er floor, close to the nature, in suburb of the resort of Risoul. Living-room with 1 supplement bed possible for 2 pers., kitchen, space for lounge and meal. Dishwasher, freezer, microwaves, 1 washing machine, TV. Electric heating. 2 rooms (1 bed 2 pers, 2 bds 1 pers). Shower-room and separated wc. Balcony and small garden furniture, barbecue. In winter, access to the chalet ski in feet. Car park on public space. A 1850 m altitude La Forêt Blanche snuggles in a larch forest where chalets built of wood and stone remind you of a mountain village long ago. The main street and surrounding snow are the heart of a lively and friendly resort. Rising to an altitude 2750 m, are 180 km of pistes. The resort has a ski school, a snow park, and 45 km of cross-country pistes. piste for snowmobiles. Excellent ski touring and snowshoeing in the vast area surrounding the resort. There is also an ice rink, a sauna and a cinema. 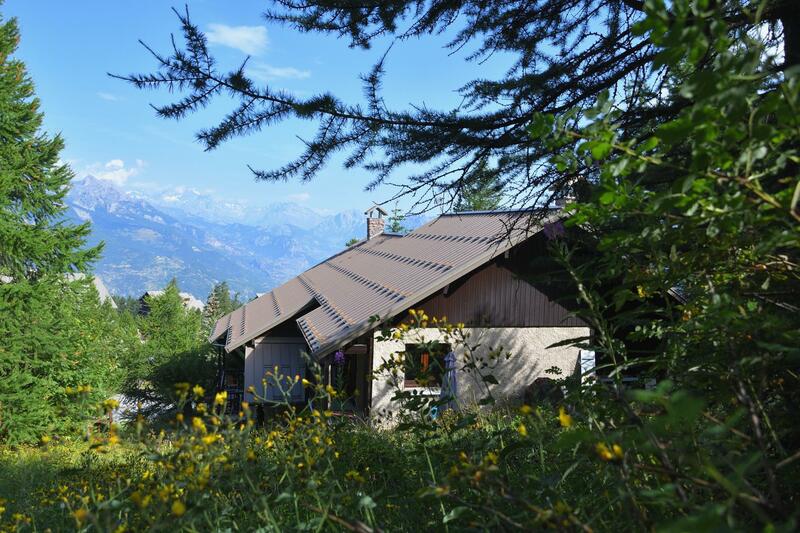 Lodging located in the resort of Risoul-Vars with direct access to the domain of-"the white forest-": 57 ski lifts and 104 tracks (10 black, 37 red, 40 blue, 17 green). Snowmaking. Ski school. Snowpark. 45 km of cross-country ski runs. 35 km of snowshoe trails. Daycare, and the snow garden. 3 stages of slalom, space new slides, 4 toboggan runs. Horse sled rides. Rink, sauna, cinema. Waterfalls of ice. Access to the grand spaces in. ski or snowshoe hiking.